This beautiful nebula is not very well-known, especially to northern-hemisphere observers, because of its low location in the sky at a declination of -26. At my location it only gets to an altitude of about 25 degrees, but that is just enough to be able to capture during its two hours of visibility on several nights. 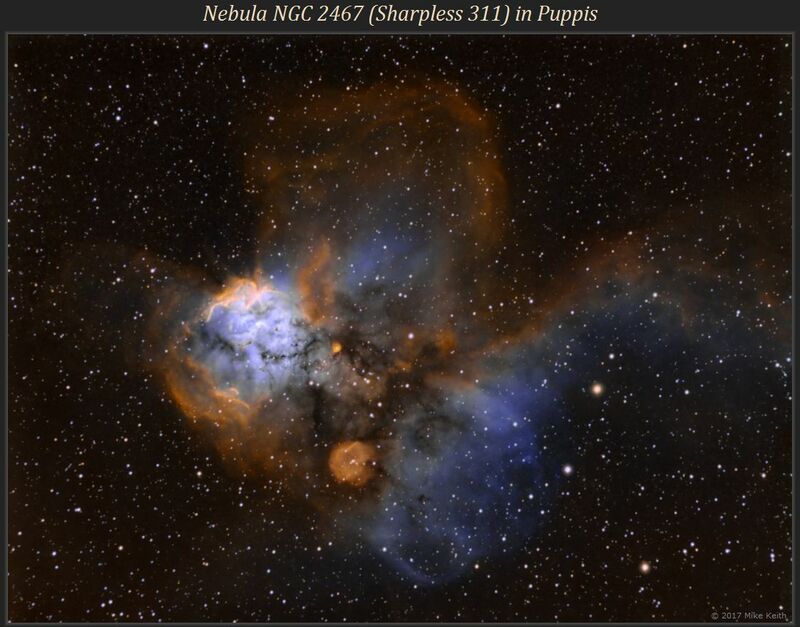 Also known as Sh-311, the shape of the nebula is somewhat reminiscent of a moth or butterfly. 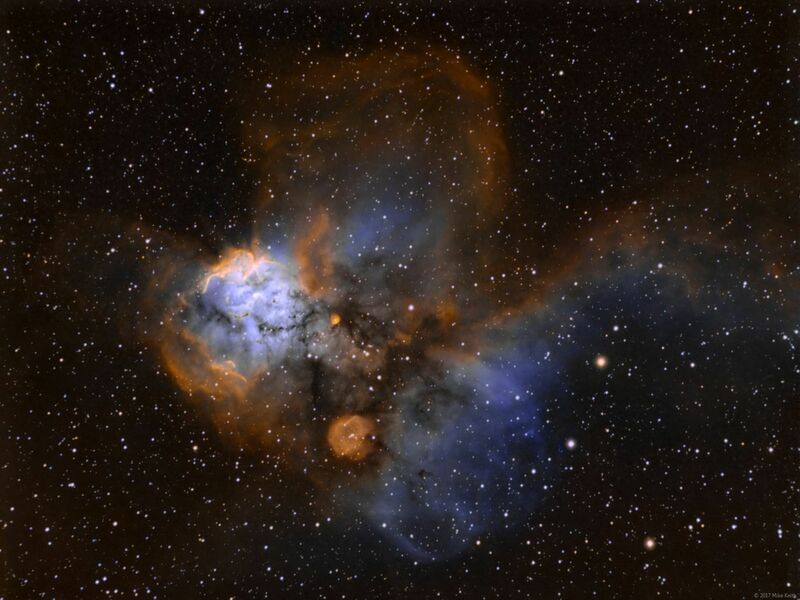 This is a narrowband image with just 1 : 2.5 : 1.5 hours of S:H:O.